A storm system will emerge from the Rockies this afternoon and march towards the north and east through the overnight into Sunday. A very narrow strip of heavy snow will develop to the northwest of the low, as warm air is tossed over a warm front into colder air. The storm is expected to drop several inches of snow over a wide area, but a narrow area of only 15-30 miles will see amounts in excess of 6". Some spots could surprise with almost a foot of snow as bands park over the same area for a long period of time. 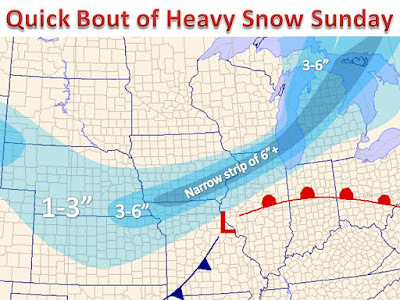 It is difficult to see exactly where the heaviest snow will set-up, but chances favor somewhere between Milwaukee and Chicago into Michigan. Below is a computer simulation of what the radar may look like heading through Monday morning. 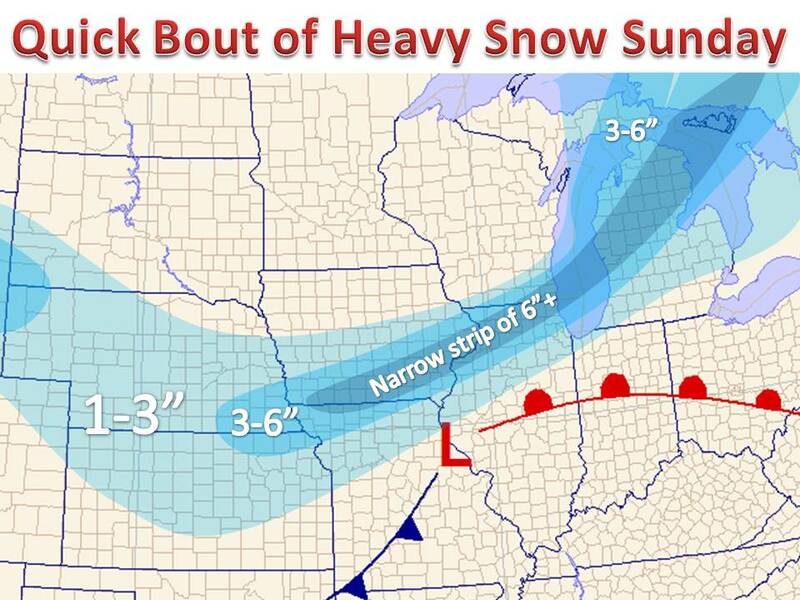 As we march more into winter, be sure to keep it to Midwest Weather for updates throughout the winter. More weather content will be posted on our Facebook page and especially on Twitter.